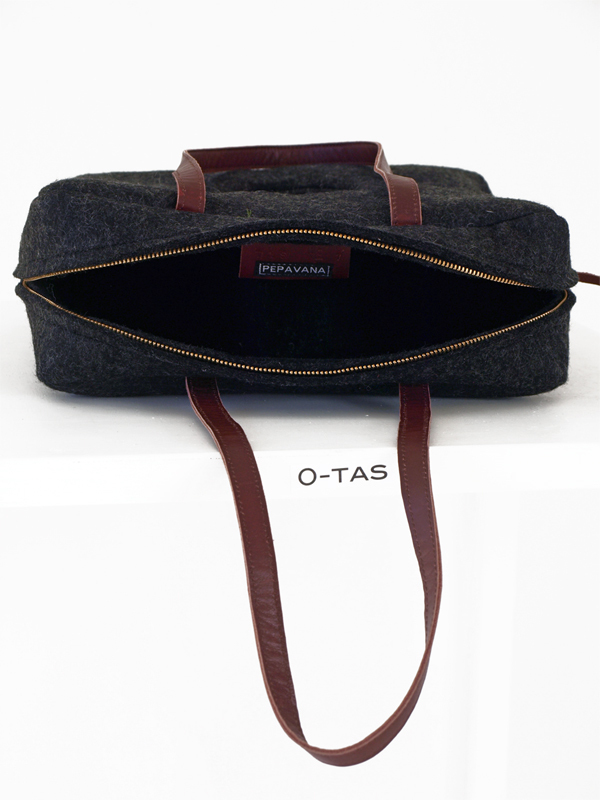 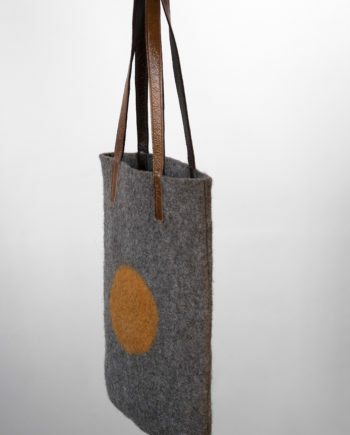 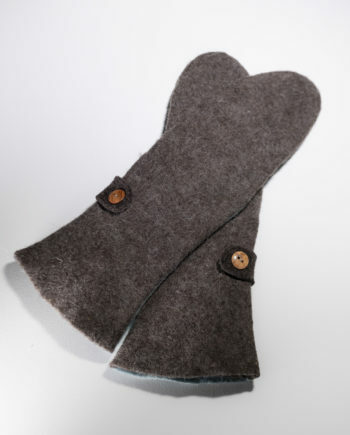 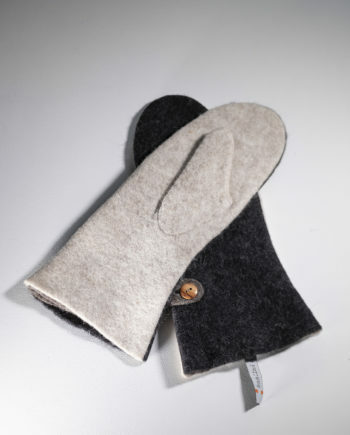 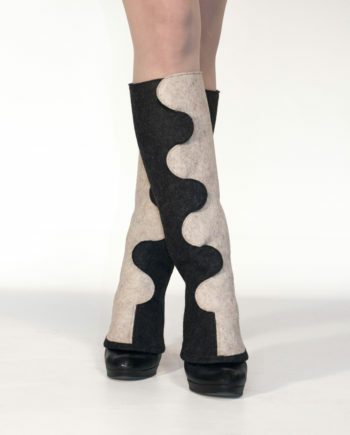 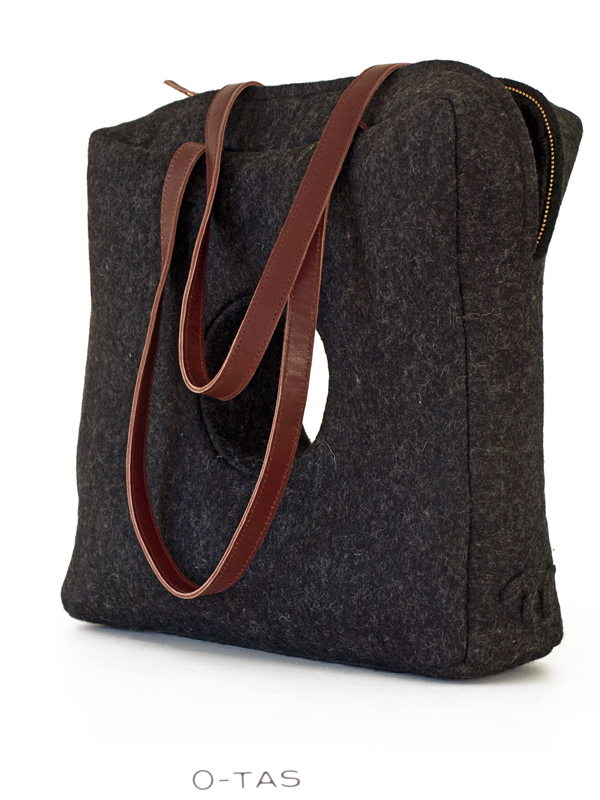 Object-like-Bag made of 3 mm wool felt in a natural black mix. 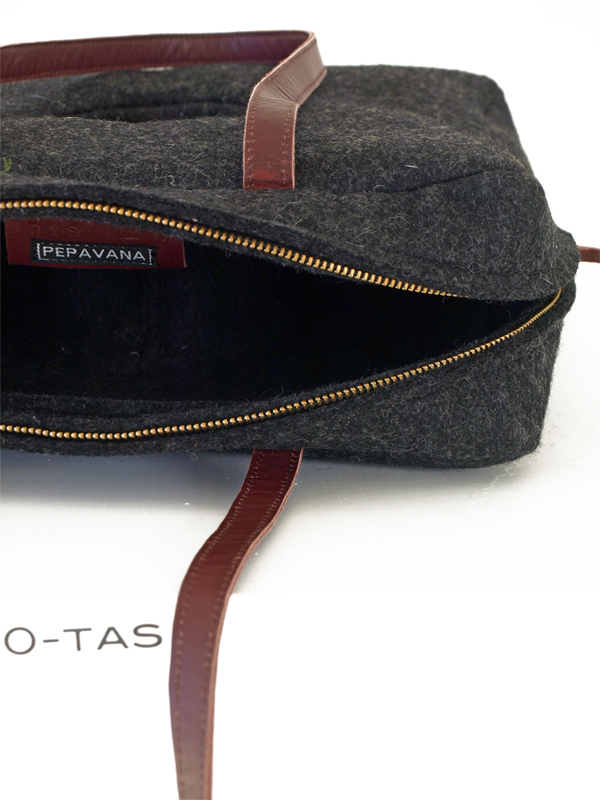 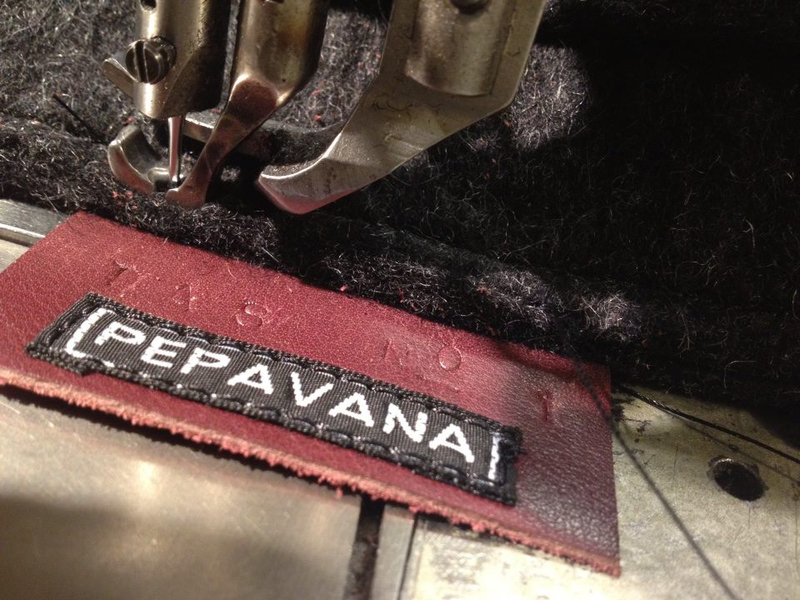 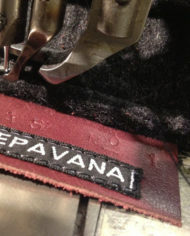 Limited edition bags, with hand-pressed labels. 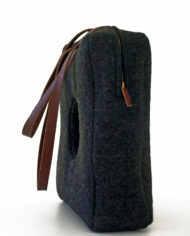 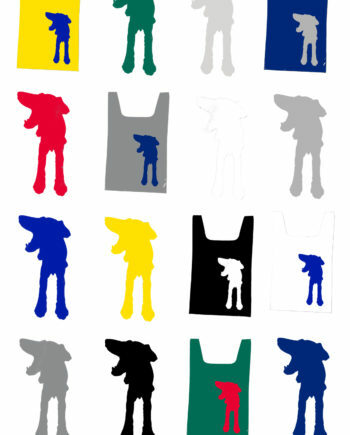 The design emergenced after searching for new unconventional bag shapes, not conforming to the common bag wishes. 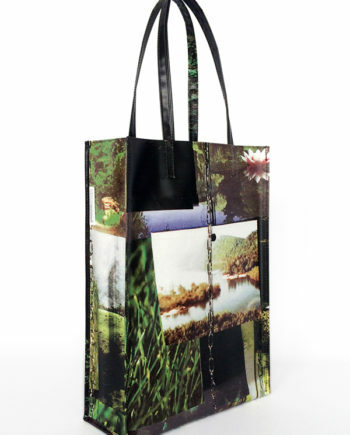 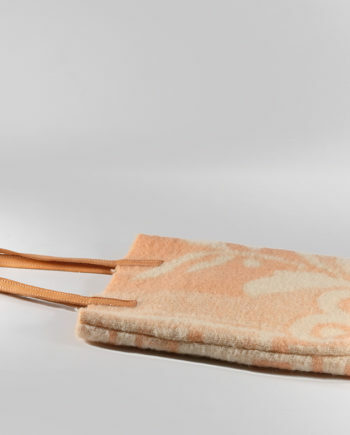 Although it is for certain you cannot transport your laptop, Ipad or magazine with this bag, with its hole in the middle the bag has got a big desirability. 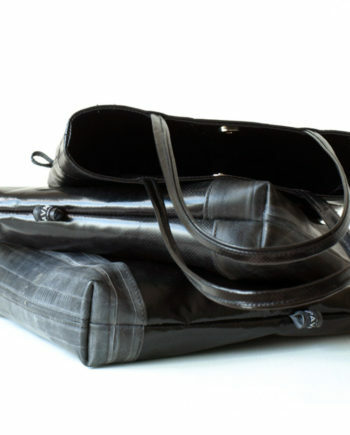 When the bag is in use new ways of storing your belongings will arise. 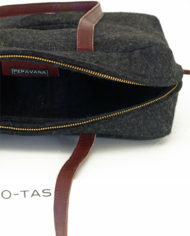 Evere single bag is labeled with a unique hand pressed number.